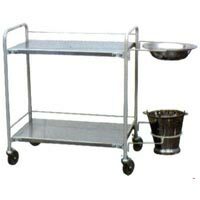 We are engaged in offering Stainless Steel Dressing Trolley to the global clients. Made from premium grade stainless steel material, our Dressing Trolleys are equipped with advanced features in order to provide ease of carrying to the user person carrying it. 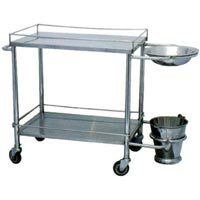 Clients can avail Stainless Steel Dressing Trolley at the most reasonable rates from us.